When his 89-year-old father fell at his Cohasset, MA home and fractured a hip, Bob and his wife Janet were concerned that the elderly man might never leave the hospital. Over the years, Bob’s father had weathered other storms: he had survived prostate cancer, a heart attack and a minor stroke, but his son and daughter-in-law were worried that this latest health episode might be more than he could handle. Fortunately, they underestimated him. He survived the surgery and after spending several weeks in rehab was ready to be discharged from the hospital. As euphoric as he was over his father’s fortitude, Bob’s now had to answer the question: “Now what?” He knew his father was adamant about one thing – he would never agree to living in an assisted living facility. On several past occasions he had told Bob in no uncertain terms that this option was not on the table. Bob agreed, but tried to convince his father that, at least initially, it might be a good idea for him to move in with him and his family – at least until he was back on his feet. His father thanked him for the offer but made it clear that he wouldn’t want to intrude. Furthermore, he told him that the one thing that had kept him going during his recent hospitalization was the thought of returning home. After all, he had spent more than 40 years here, and he wasn’t prepared to leave it anytime soon. It was where he had raised a family and it was, well, home. He had a well-established routine that he cherished and planned to return to – playing bridge twice a week, taking adult classes at a nearby college, watching football on weekends with his neighbor Frank, and ordering in food from the local Mexican restaurant every Friday night. While he still felt sore and might need some help when he first came home, he believed he would soon be back to his previous existence. Fiercely independent and, yes, inflexible, this accountant who still did his own tax returns and those of several of his long-time clients, dismissed at first the need for a home health aide. If he needed any help, he reasoned, he would simply ask his neighbors or wait until Bob could visit. But, because he realized as the day of discharge approached that this was really not practical, he agreed to a live-on aide on a short-term basis. Only, in the days ahead, the old man started to have a gradual change of heart. He told Bob that he felt really refreshed after the morning sponge bath she gave him, liked the way Bridget prepared his meals, and was good about reminding him to take his medicine. When several of his friends visited, he told them that things were working out much better than he ever thought they would. “She does her job really well while keeping a very small footprint,” he said. If you or a loved one could benefit from senior home care services In Cohasset or elsewhere in Plymouth, Norfolk and Bristol Counties in Massachusetts, please give us a call. Cottage Caregivers compassionate and reliable aides are thoughtfully selected to provide clients with loving care and assistance they need to make life easier and to give families peace of mind. Hingham, Scituate, Marshfield, Cohasset, Quincy, Weymouth, Braintree, Duxbury, Plymouth, Hanover, Norwell, Abington, Rockland, Whitman, Canton, Milton and more! What Our Caregivers Are Saying About Us…..
What Our Caregivers Are Saying About Us…. Have Questions? We’re here to help. No obligations. 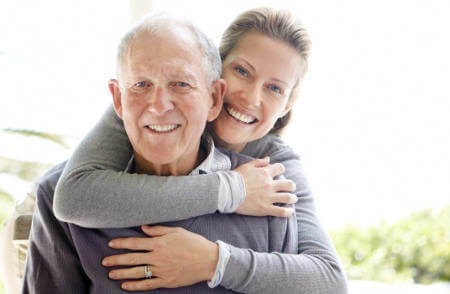 This agency is a member of Companion Connection Senior Care, a national organization of non-medical home care agencies. All members have access to recognized experts in the field of homecare, as well as the most current educational resources, enabling them to provide the highest level of care.